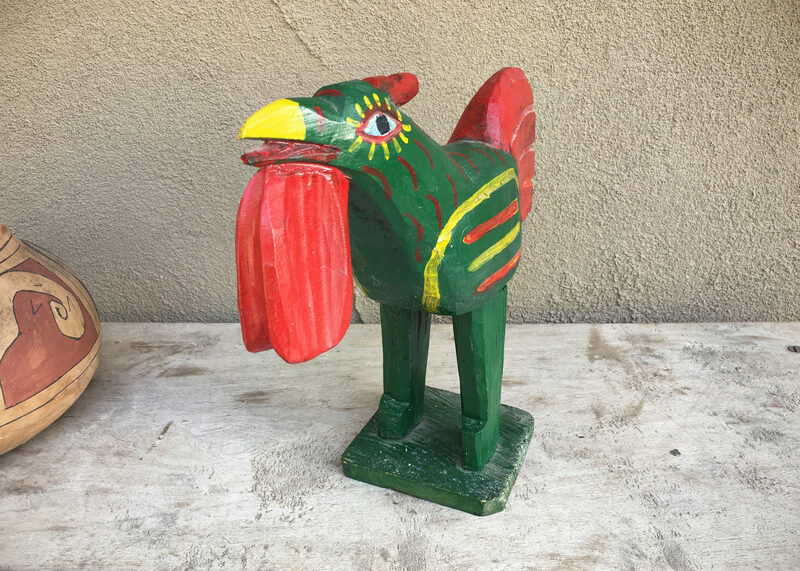 Here we have a hand-carved, hand-painted rooster from Guatemala, in simple intense colors of green and red with yellow accents. The rooster is absolutely delightful with its outrageously large wattle beneath its chin, and a rather small comb by comparison. 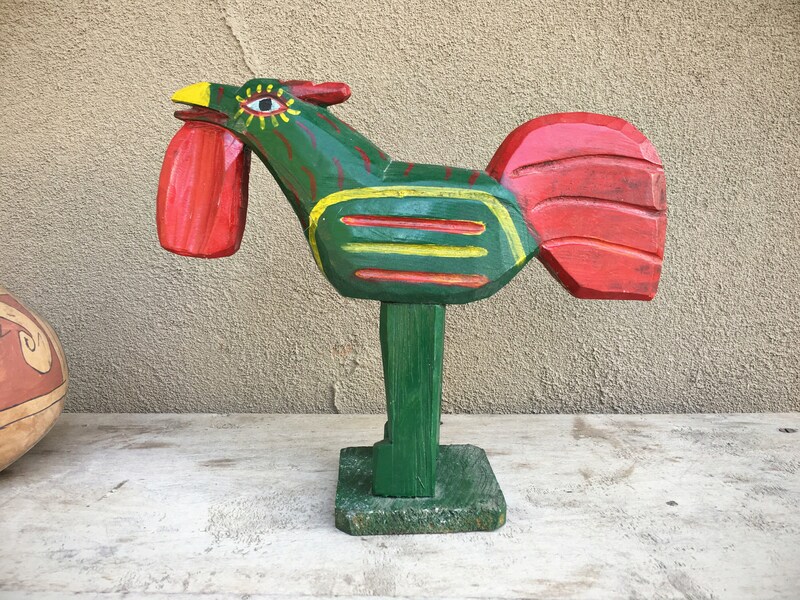 The rooster is flat and wide, and even though it's a static piece, it has a sense of movement, that way roosters lean forward to crow. 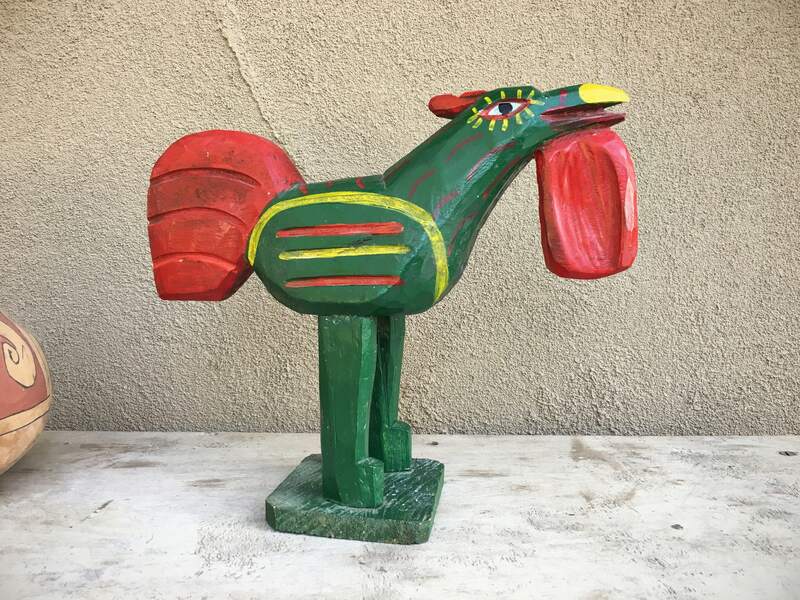 And in typical Guatemala folk art fashion, the eyes have those lines for eyelashes, which have been on almost every carved folk art piece that I've ever owned from that country. 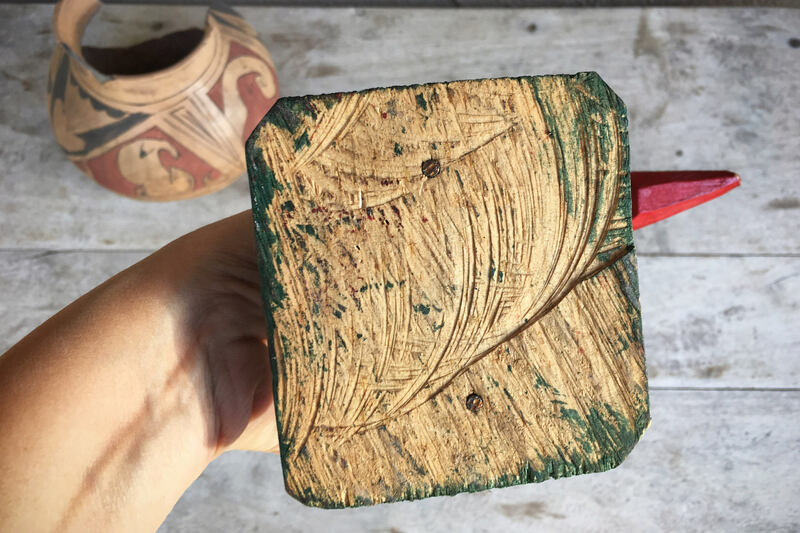 He measures about 10-1/4" tall and about 12-1/2" across at the widest point, and just about 4-1/4" wide at the base. His body is all carved from one piece of wood, minus the legs where are nailed in, and the base nailed to the legs. Weighs just over 1.25 pounds. 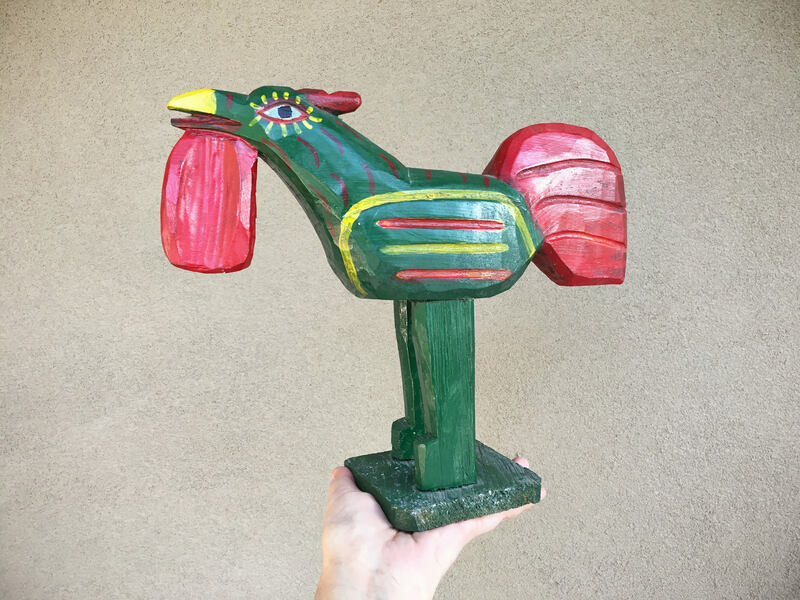 A great piece to crow about!